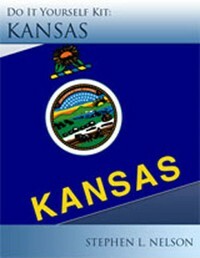 Forming a Kansas LLC can be made easy with the filing instructions below. If you’d like to get a bit more information, check out our kit, available for $34.95. It has these directions, examples of filled out forms, instructions on getting an EIN for bank account and tax purposes, sample operating agreements, and an article about the benefits and potential drawbacks of utilizing an LLC as your entity. Note: The Access Kansas Business Entity Search Service (known as BESS) lets you search both for already existing entities and for reserved names. Kansas wants to know the name and contact information for a real person within the State of Kansas whom can act as the contact person should the state have questions or concerns about an LLC’s operation. You can pay someone else to be this registered agent, but it’s really easiest and cheapest to just be your own registered agent. Use the space provided to supply the mailing address you want the state to use for official correspondence. Use the Effective Date check boxes and blanks to indicate whether the LLC should be formed at filing (the usual case) or at some other specified date. Review the form to ensure the information is correct, then date and sign the document. Processing lead times vary, but in general, it takes several weeks to get your LLC certificate back from the Secretary of State’s office. Online applications are usually processed faster.